Dallas Mavericks owner Mark Cuban will donate $10 million to women's advocacy groups after an independent investigation found a long history of sexual harassment among team employees. The investigation found "numerous instances of sexual harassment and other improper workplace conduct" within the organization over more than 20 years, the NBA said Wednesday. The instances included touching and forcible kissing of women employees by a former team president, as well as other misconduct by a former ticket sales employee and by a former Mavs.com reporter, the league said. The probe also found that team management was ineffective and "permitted the growth of an environment in which acts of misconduct and the individuals who committed them could flourish," the NBA said. The NBA said the investigation found no evidence that Cuban was aware of the former team president's misconduct. Commissioner Adam Silver said Cuban "reacted swiftly, thoroughly and transparently" to the matter and that he is "ultimately responsible for the culture and conduct of his employees." Cuban said during an emotional interview with ESPN that he is "accountable" for the Mavericks' workplace culture and offered an apology to the women involved. "In hindsight, it was staring me right in the face and I missed it," Cuban said. "I had a CEO that I deferred to, and that was a mistake." Cuban declined further comment to CNN. The investigation, launched under league oversight, began after Sports Illustrated published an article in February that focused on allegations against former president Terdema Ussery. Ussery, who left the team in 2015, denied wrongdoing in a statement to SI. "I am deeply disappointed that anonymous sources have made such outright false and inflammatory accusations against me," he told SI in February. CNN could not immediately reach Ussery for comment on Wednesday. The Mavericks conducted an internal review in 1998 after several female employees came forward with allegations of inappropriate behavior against Ussery, according to the investigation's report. But he remained with the team for more than a decade after Cuban took over in 2000. Anne Milgram, a former prosecutor and New Jersey attorney general, was one of the attorneys who carried out the independent probe. She said during a Wednesday press conference that the investigation found Ussery engaged in "a pattern of sexual harassment over the course of 18 years, from almost the time that he started to the time he left the organization." She said the probe substantiated various allegations against him made by 15 women. 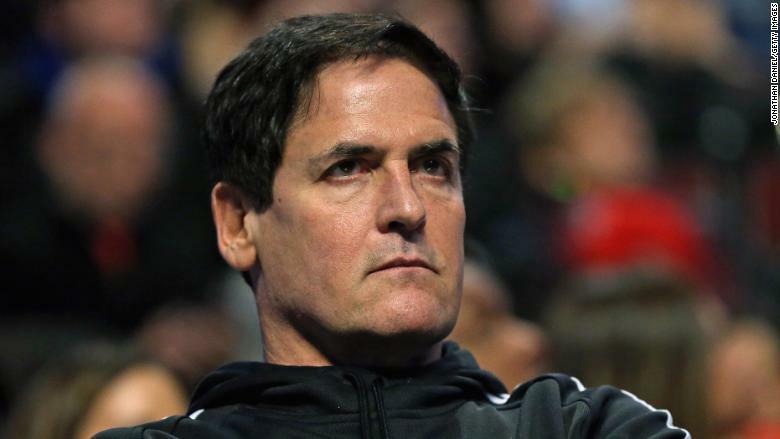 The final report also lays out a series of recommendations for the Mavericks organization, including to hire more women in management roles, improve reporting practices and better define Cuban's involvement in the business operations. — CNN's David Close contributed to this report.